Last weekend, we loaded our bikes aboard the TLK express train to Germany and pedaled a 250km section of the Elbe River trail from Dresden to Prague returning home to Warsaw by train. A true multi-modal tour- Train:Bike:Train (even a short ferry ride across the Elbe), the Elbe River trail is a route we have wanted to cycle since we landed in Warsaw two years ago. Our bikes on the Deutsche Bahn train to Dresden. 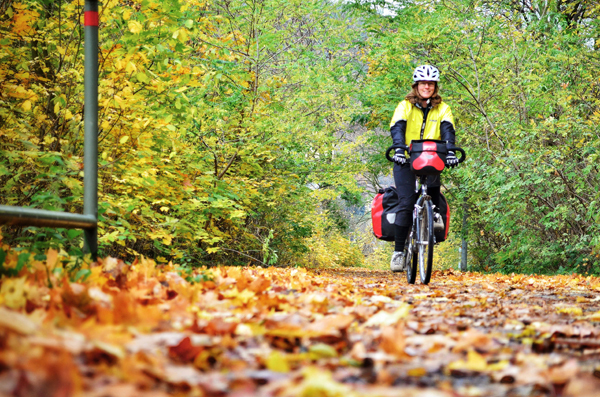 Train travel made this bike tour about as easy and convenient as anything we’ve ever done. 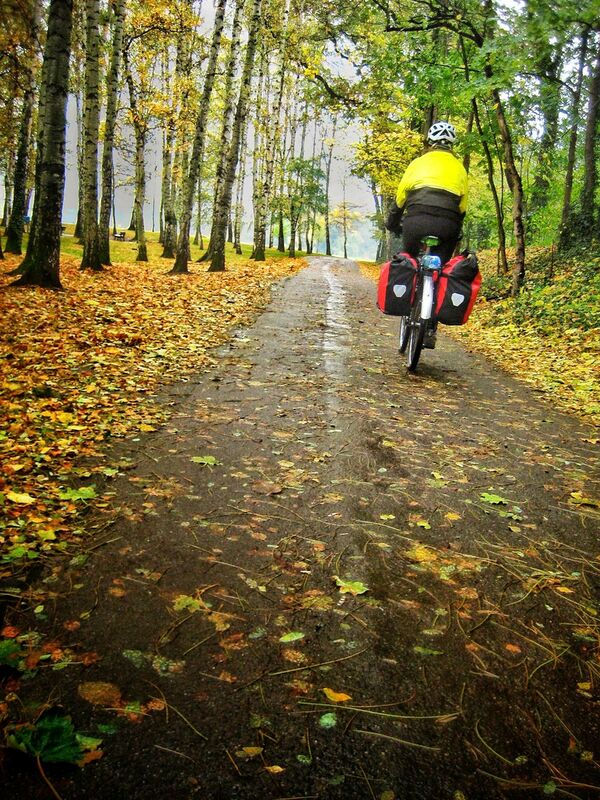 To be honest most of our bike tours over the last two years have been multi-modal. Although we’ve done more than a few day tours starting from our tiny, tool-shed sized apartment, on longer trips we often utilize one of the great features of European life in one direction or another: the Train. It’s November in Northern Europe and weather is blustery. We weren’t about to let a little rain scare us away. Plus, the sun even made an appearance for a few minutes. As you can imagine a long meandering river trail, like the Elbe, can be fairly flat. There weren’t nearly as many climbs as our trip last summer to Dubrovnik so we were able to take it easy, soak in some of the sights and chat while we rode. While pedaling along, we talked about how easily the average person could utilize train travel to make a tour like this one possible. We both also remarked on the great infrastructure elements in place that make the Elbe River trail possible. 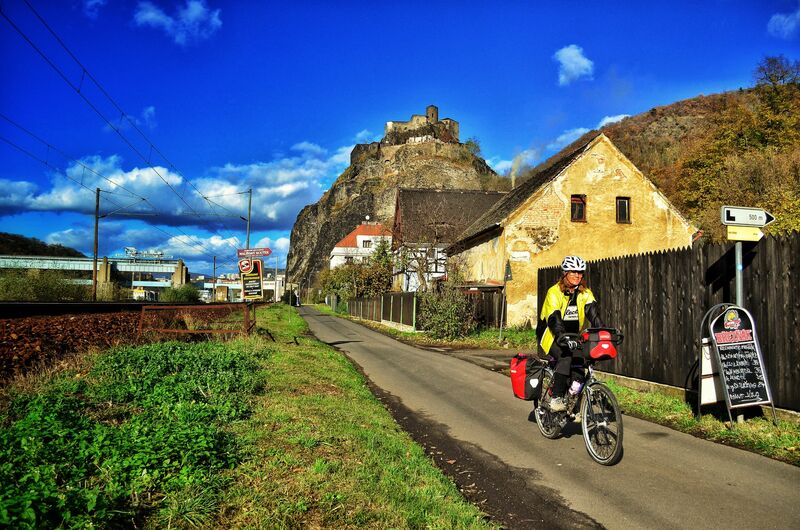 Small businesses and historic attractions flourish along the Elbe River trail. As we pedaled further along we began to really notice that beyond train travel and the trail itself there are some other smaller, but no less important factors at play. Local community support elements. Bike friendly accommodations. 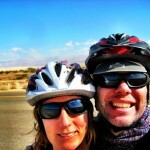 Cyclists oriented businesses and tourism services. Directional signage and local tourist sights posted along the trail. These small elements play no small part in making local, regional or even long distance bike travel easy, fun and convenient. Certainly, the multi-modal aspects were obvious. 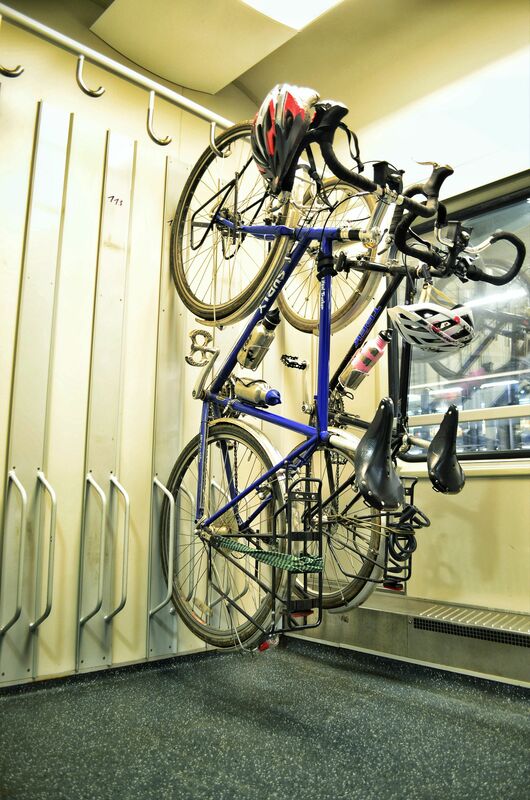 A well-developed train system in place with a capacity for carrying bicycles makes a journey like this a breeze. This is a big piece of the puzzle, but not the only one worth mentioning. In addition to talking about conveyances we were both taken with several local elements that we had witnessed before here in Europe. It is actually the little pieces of local infrastructure along the way that make bike travel easy, fun and convenient. When combined across the entire 840km length of the Elbe River trail system, it is precisely these little pieces which knit together the social and economic fabric of all the communities along the trail. In Bad Shandau, Germany, our first night, we stayed at a Gasthuas which is part of the Elbe Radfruendliche Unterkunft, a system of Inns, which cater to travelling cyclists along the Elbe. Not the only one in this tiny village, and not the first time we’ve stayed at such a place either. Upon check-in, the proprieter, noticing my cycling attire asked if I would like to park my bike in the bike shed before checking-in. Sure, bike shed, great. 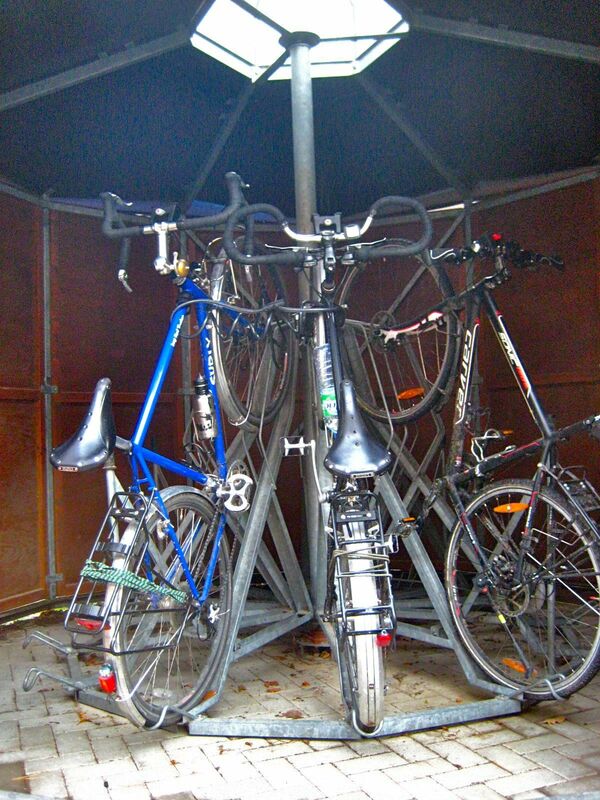 This shed had one of the simplest and most effective bike racks we’d ever seen. A bike rack carousel which can be easily rotated to access any bike in the rack without displacing another bike. Simple. Ingenious. Effective bike storage. Why wouldn’t a business along this route have such a thing for their clients? After all even on a wet and windy November day we weren’t the only cyclists staying at the Gasthaus. On our second night we stayed in the little Czech town of Litomerice. Again, we picked a Penzion which is listed on the Czech Cycle Tourist Lodging system- Cyklisté Vítáni (Cyclists Welcome) simply because they cater to cyclists by having easy, secure bike storage. We were smitten. 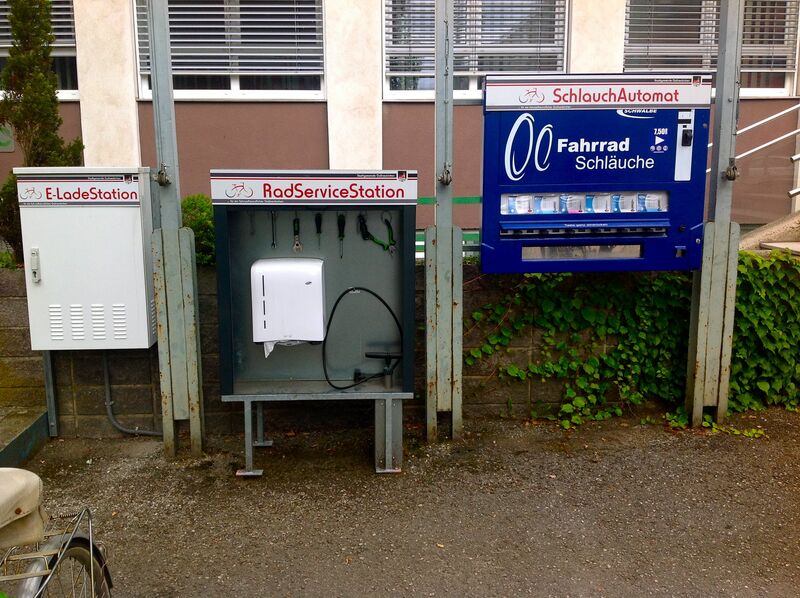 Radpoint – a Self service repair station. Inner tube vending machine and an e-bike charging station. 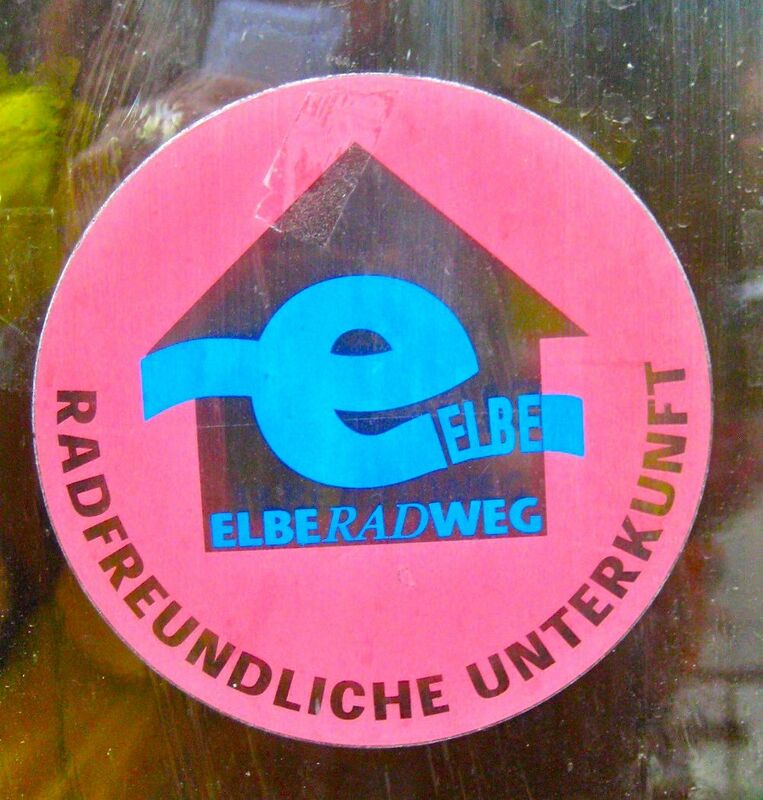 As we travelled along the Elbe, in each village and town there were of course, pubs, restaurants and bike shops along the trail. Each business had ample bike parking and services focussed at cyclists. Tourist information centers had internet access, lodging assistance, free route maps even bike repair stands and inner tube vending machines. 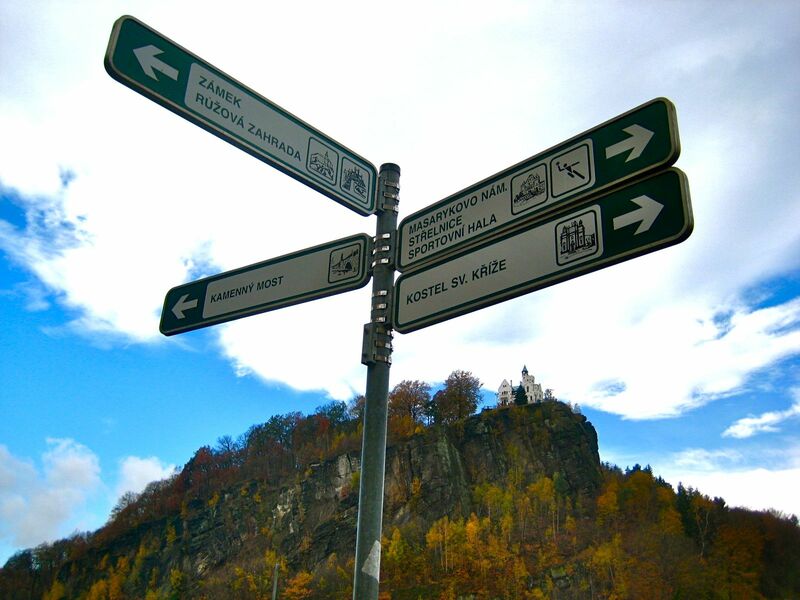 In both Czech and Germany the route was consistently marked not only with distances and intersecting route information, but also with optional side trips to local sights when available. We veered from the river’s edge several times to wander around a town square, visit an historic building, a castle or a church (Carolyn loves churches..), each time stopping to spend a few Euros or Koruna to get a coffee, lunch or pay an admission fee. 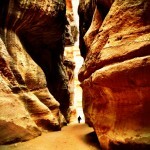 We stopped all because these sights were highlighted along the trail itself. Information. Drawing cyclists, people, from the trail into town centers to experience the uniqueness that each place had to offer. This is the real benefit to local communities. This is why small towns would want this sort of thing. Again, we’ve seen all these elements before in Europe, but on this trip we just kept commenting on how easily many of these pieces could be put into place back home in the US. Sometimes it really is the small things that make the difference. That looks like a terrific, relaxing, and beautiful tour for anyone. Thanks for the write up and description of your tour. Hopefully, I will make it over to Europe one day and be able to do tours like this in addition to longer ones.